The who, what, when, where, how, and (most importantly) why of the historic meeting between Taiwan and China’s leaders. The two leaders will shake hands, deliver opening remarks before the press, then head off to closed door discussions. According to Zhang, Ma and Xi will “concentrate their energy on exchanging views on some important issues.” After the discussions, both sides will hold separate press conferences, then they will head to a banquet. Ma will depart Singapore immediately after the dinner. To avoid perceptions that one side is hosting the other, the MAC clarified that Ma and Xi will split the cost for both dinner and the meeting venue. “It’s not about who will be whose guest at the dinner, but about having dinner together,” said MAC Deputy Minister Wu Mei-hung. According to the MAC, Taiwan representatives first broached the idea of a meeting in Singapore after Beijing rejected the idea of a Ma-Xi meeting in Beijing during last year’s APEC summit. Hsia said he and Zhang agreed that it was time to set up such a meeting during their talks in Guangzhou in October. Both TAO and MAC emphasized the historic and positive nature of the meeting. According to MAC Minister Hsia Li-yan, the goal is to “consolidate cross-strait peace and preserve status quo in the Taiwan Strait.” Zhang said the meeting would be helpful for building up mutual trust and handling difficult issues while continuing the development of cross-strait relations. It’s a “significant” and “positive” step, Zhang said. However, Taipei also has to defend its flank from accusations from the opposition that Ma is ‘selling out’ Taiwan by meeting with Xi. During the MAC press conference, Hsia emphasized that the meeting will take place in accordance with Taiwan’s bottom line of equality and dignity. Ma will not sign any agreements or release any joint statements, and he will “firmly defend the country’s sovereignty and dignity,” Hsia said. In response to critics who questioned the transparency of the meeting, Hsia said the legislature will be briefed both before and after the Ma-Xi talks. Hsia framed the meeting as a culmination of Ma’s administration’s efforts over the past seven years to institutionalize and normalize cross-strait dialogue. Cross-strait ties have seen several historic breakthroughs under Ma, from the signing of the Economic Cooperation Framework Agreement to an agreement to open official representative offices on each others’ soil. After all those efforts, “the time is ripe” for a Ma-Xi meeting, Hsia said. “Now is a sensitive period of time as election campaigns are underway in Taiwan, and the public would definitely question whether [the president] is intending to influence the election result by holding a Ma-Xi meeting,” she said. Tsai has a strong lead in the most recent polls over KMT candidate Eric Chu. While the KMT has refuted charges that the Ma-Xi meeting is an attempt to shore up support before the election, there’s little doubt that Beijing wants to use the meeting to showcase its vision for cross-strait relations. One of the points of the meeting, according to Zheng, is to solidify the 1992 consensus as the “common political foundation” of the relationship. The 1992 consensus, in which both sides agreed there is one China, while remaining ambiguous on which government represents “China,” has never been accepted by the DPP. Beijing had repeatedly painted acceptance of the 1992 consensus as its bottom line for cross-strait relations, and will look to use the Ma-Xi meeting to drive that point home. Zhang also took a more overt swipe at the DPP, saying that years ago, when the cross-strait relationship was “on the verge of a crisis” thanks to the “provocations of ‘Taiwan independence’ splittist forces,” a meeting of the top leaders from both sides would have been hard to imagine. Zhang was referring to is the cross-strait tensions that came under the leadership of the only DPP president to date, Chen Shui-bian. 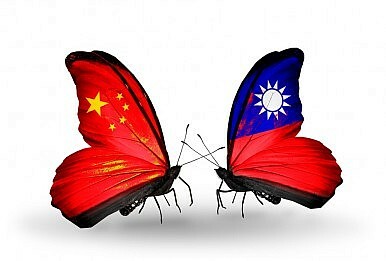 What Does the Ma-Xi Meeting Mean for China, Taiwan and America?Is This the End of the ‘1992 Consensus’?Was It Wise for Tsai Ing-wen to Reject the ‘1992 Consensus’ Publicly?What Does the 1992 Consensus Mean to Citizens in Taiwan?Who Is 'Mr.' Xi Jinping?